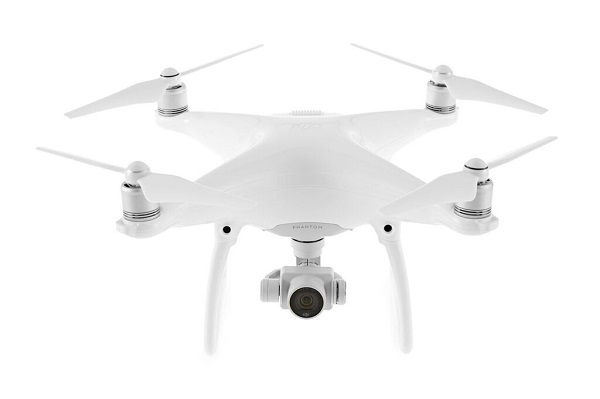 DJI launches Phantom 4 drone with intelligent tracking and obstacle avoidance. DJI, the world's leading maker of unmanned aerial vehicles, on Tuesday launched the Phantom 4, the first consumer quadcopter camera (or "drone") to use highly advanced computer vision and sensing technology to make professional aerial imaging easier for everyone. The new DJI Phantom 4 features obstacle avoidance and intelligent tracking. The Phantom 4's U.S. retail price is $1,399. Pre-orders for the Phantom 4 will start March 1 on DJI.com and Apple.com, and customers will begin receiving their units on March 15. The Phantom 4 will also be available in-store at DJI's flagship stores and Apple stores around the world starting March 15.